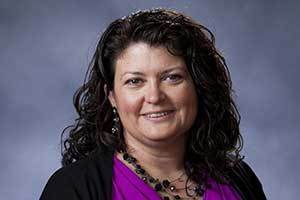 Babies whose mothers experience interpersonal violence during pregnancy are more likely to exhibit aggression and defiance toward their mothers in toddlerhood, according to new research by Laura Miller-Graff, assistant professor of psychology and peace studies, and Jennifer Burke Lefever, managing director of the William J. Shaw Center for Children and Families, both at the University of Notre Dame. While it is fairly well-known that pregnant women have an elevated risk for domestic violence, much of the associated research focuses on the negative impact of that violence on pregnancy, labor and delivery. Miller-Graff and Lefever’s study, co-published with Amy Nuttall in The International Journal of Behavioral Development, examines the short- and long-term impact of prenatal violence (regardless of perpetrator) on children’s later adjustment outcomes. Nuttall earned her doctorate at Notre Dame in 2015 and is currently assistant professor of human development and family studies at Michigan State University. Miller-Graff said the harmful impact of violence during pregnancy is profound and long-lasting, with discernible effects on the child as far out as 2 years old, even though the initial exposure is indirect. While this finding aligned with the researchers’ predictions, they were surprised to find that interpersonal violence in pregnancy did not predict children’s aggressive behaviors toward their peers — suggesting that many children are able to exhibit resilience in social relationships outside of the home. When Miller-Graff was in graduate school, her research focused on the impact of intimate partner violence (IPV) on preschoolers, and she wondered whether studying an earlier phase would be more effective — not only with intervention, but also with prevention of intergenerational cycles of abuse. When there is an opportunity to put supports in place for at-risk pregnant women, the negative impact on kids is likely to significantly decrease, according to Miller-Graff. She noted that one of many potential applications of this research is better standards of screening for violence during prenatal exams. “When we can do this research and do it well, we stand to make a huge impact for the health of moms and young children,” she said.